Authenticating Windows devices is a core part of any directory service. In fact, Microsoft Active Directory® built a monopoly on the capability. While Windows devices aren’t at the same market share they once were, controlling access to Windows systems is a critical capability. As first-generation IDaaS vendors start to think about extending beyond web application single sign-on, controlling access to systems should be on their list. The short answer is, “No.” The long answer is a little bit more complicated, but it has a “Yes” at the end. We’ll explain below, but first let’s take a broader look at the IDaaS landscape. 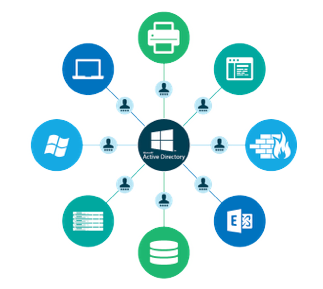 Over the past two decades, Microsoft Active Directory has been a virtual monopoly in the space. Networks at the turn of the century were largely homogeneous. They were Microsoft Windows-based and on-prem. As a result, it made sense for IT organizations to leverage AD as their user management system. As the IT landscape has evolved with the introduction of G Suite and AWS, the resurgence of Macs, and dominance of Linux machines, Active Directory is no longer managing a bulk of the IT infrastructure. In fact, only one in five devices is Windows. While G Suite has over five million business customers, AWS has over one million business customers. Active Directory also struggles with connecting to cloud-hosted system and applications. Does Google Identity Management Capitalize on AD’s Limitations? Ideally, Google would like to replace Active Directory. Google has been targeting Microsoft Exchange and Office with their G Suite productivity platform. Unfortunately, their G Suite Directory or Identity Management Services is a long way from being a competitor to Active Directory. Google IDaaS isn’t able to authenticate Windows systems – obviously a core piece of functionality for any Active Directory alternative. Further, Google’s approach to IDaaS isn’t really focused on handling on-prem IT resources, including systems, applications, or WiFi. 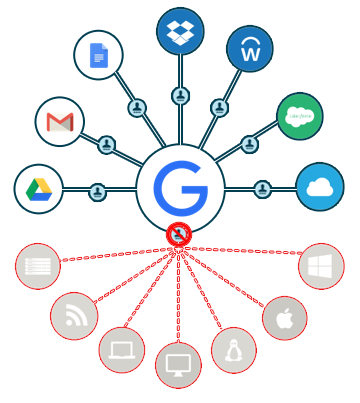 G Suite Directory is a Google Apps user management platform and a web application SSO solution for a select few web apps. The good news is that there is a complementary solution to G Suite that can handle Windows authentication from the cloud. 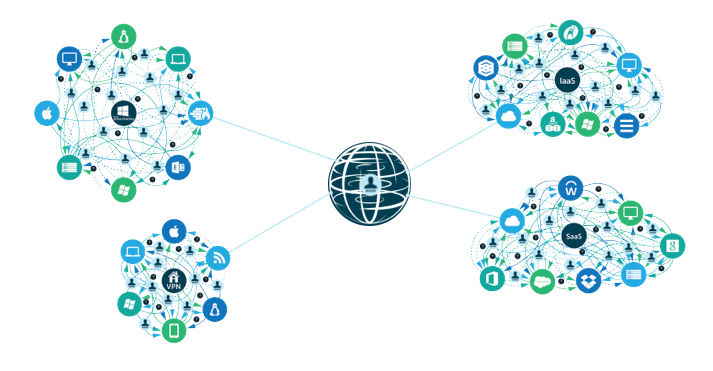 As a next-generation IDaaS platform, Directory-as-a-Service® securely manages and connects user identities with IT resources, such as systems, applications, and networks. Those IT resources can consist of a wide variety of cloud and on-prem platforms, including Windows, Mac, Linux, G Suite, Office 365, AWS, and web applications, among others. 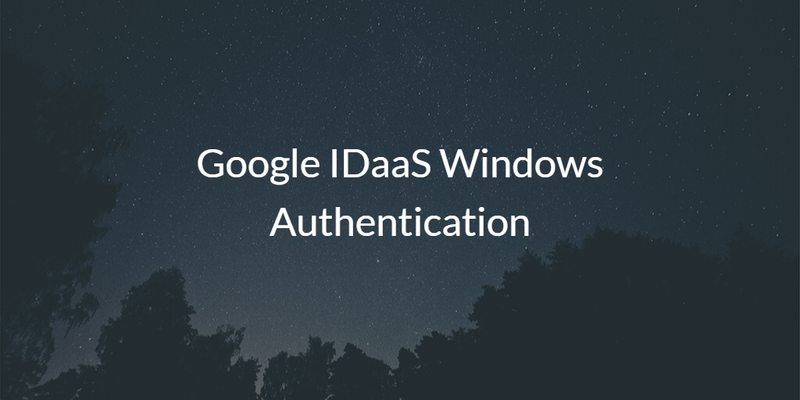 If you would like to learn more about Google IDaaS Windows authentication, drop us a note. Alternatively, sign up for our cloud identity management platform and integrate it with your G Suite instance. Your first 10 users are free forever.